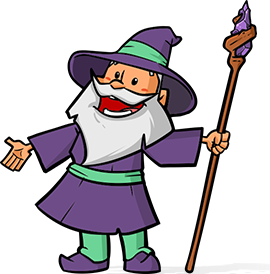 A visitor asked on the Limit User to One Submission Per Time Period snippet if it was possible to limit by the user’s IP address instead of their WordPress user ID. It is! This snippet is more useful for general usage since it doesn’t require visitors submitting the form to be registered users on your WordPress site. How do I install this snippet? Count to three. Then click the “Copy to Clipboard” link at the bottom of the snippet and paste the code into your theme’s functions.php file. Do I need to configure this snippet to work with my form? Only a few pieces! Here is an overview but the changes are notated inline in the code as well. Update $gws_limit_message to the message visitors should see when they have reached their submission limit. Update $gws_limit_time to the amount of time the user must wait until they can submit the WordPress form again. This time must be provided in seconds. Update the 5 in the filter gform_pre_render_5 to your own form ID. You’re good to go! Be sure to check out the Limit User to One Submission Per Time Period snippet as well. 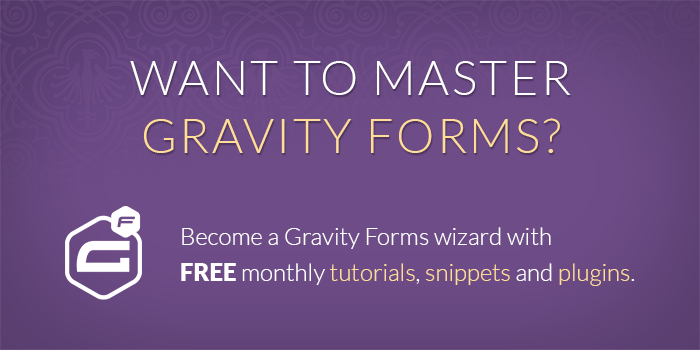 Did this resource help you do something awesome with Gravity Forms? Then you'll absolutely love Gravity Perks; a suite of 29+ essential add-ons for Gravity Forms with support you can count on. any update on the mod for allowing x number of submissions per 24hour? I tried to enable this bit of code in functions, but when I did the form displayed the message – even though I had never submitted and my IP address is not in the database. The only change I made was in the form id. Any ideas what might be causing this? Thanks for pointing out this out. The snippet has been updated to resolve this issue. Nice snippet, I to would love to be able to allow say 2-3 submissions per IP per time period. is it possible to modify this to allow 2-3 submissions per IP per 24h? Hi Ryan, that would be useful. I put this modification in the queue and will implement it this week. how can we limit say 5 submissions per 24 hours? Tried to paste it in my function.php = FATAL ERROR ! Thanks for letting me know. A recent change in the script that outputs the snippet was stripping double quotes out! I’ve put a temporary fix in place. It broke the copy to clipboard but the snippet is now accurate. I realize that this is not the conventional method for support but I thought if there was a quick fix it would be the easier way to go. Any help would be greatly appreciated, have a great day.